We can't choose who we fall in love with, it just happens. 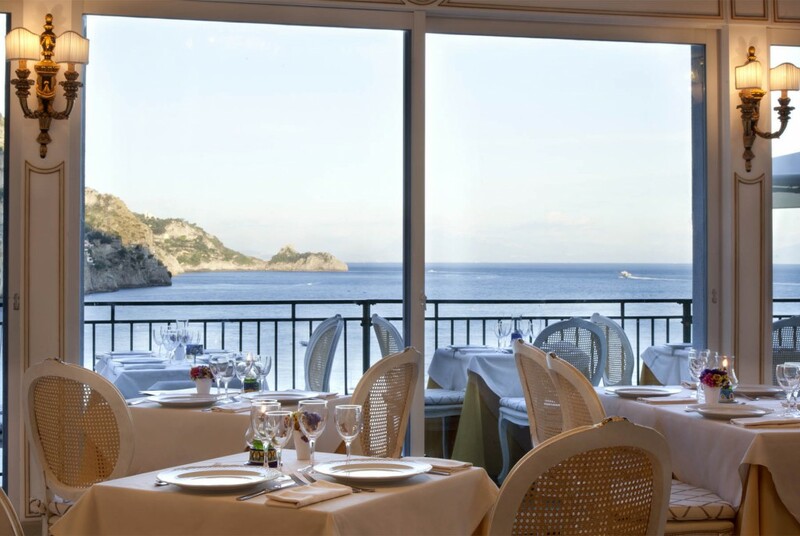 The restaurant "Franchino" welcomes his guests on an incredibly evocative terrace, overhanging on the water, facing the cape of Conca dei Marini. 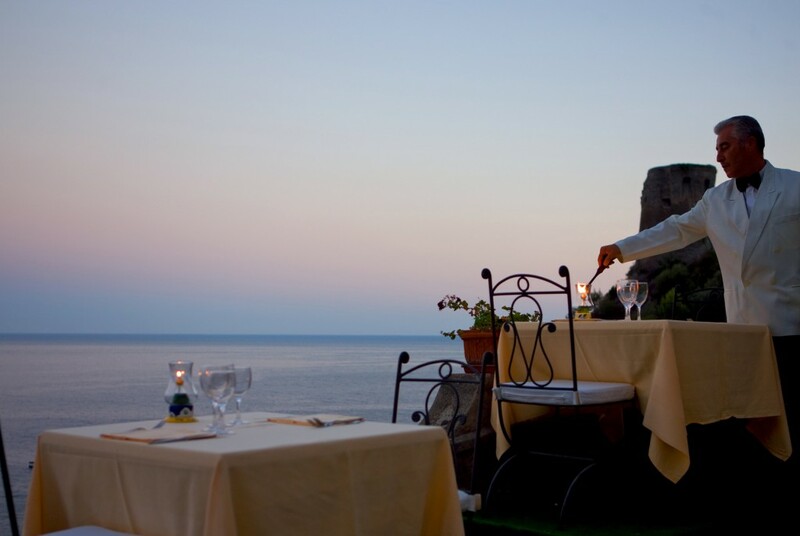 Each morning, smartly presented waiters swiftly yet silently prepare the terrace’s tables for lunch, and again in the afternoon, for dinner. 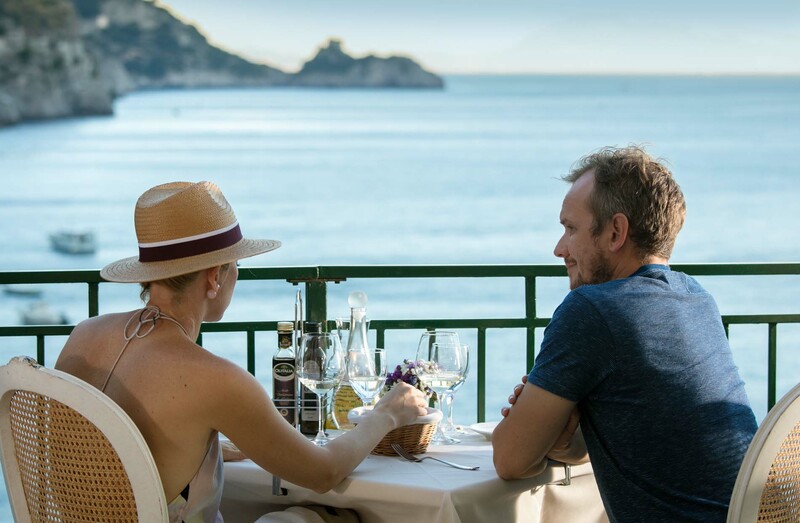 This daily ritual means you may experience mesmerising Mediterranean specialities while enjoying the cool breeze from the same mountains, slopes and waters that, just days or hours earlier, surrendered their bounty for your meal. Floor-to-ceiling windows let the light and the landscape into our restaurant, enhancing the exquisite presentation of pure, fresh ingredients on every plate. 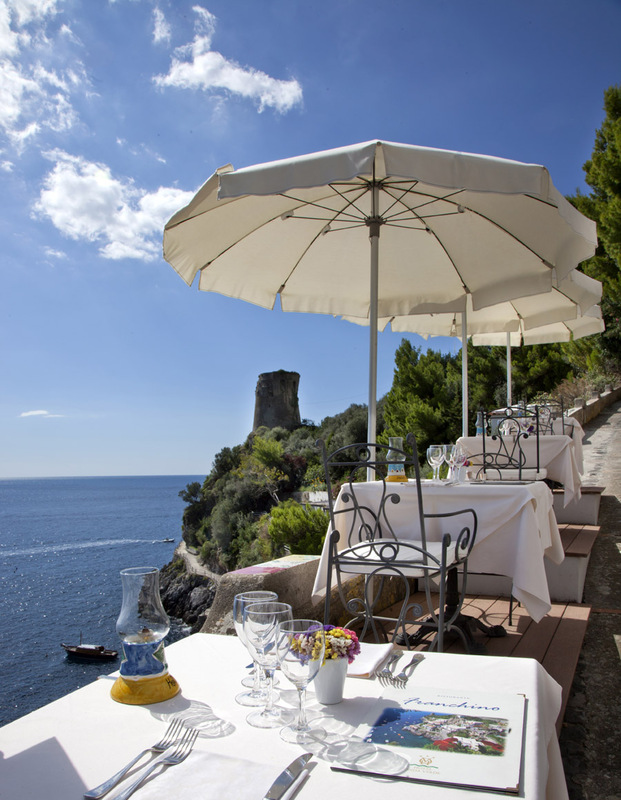 After a morning on the beach, what could be more pleasant than a delicious lunch to be enjoyed here, in the sunshine or beneath a shady pergola, in the company of a loved one, and with breathtaking views of the sea of the Amalfi Coast. 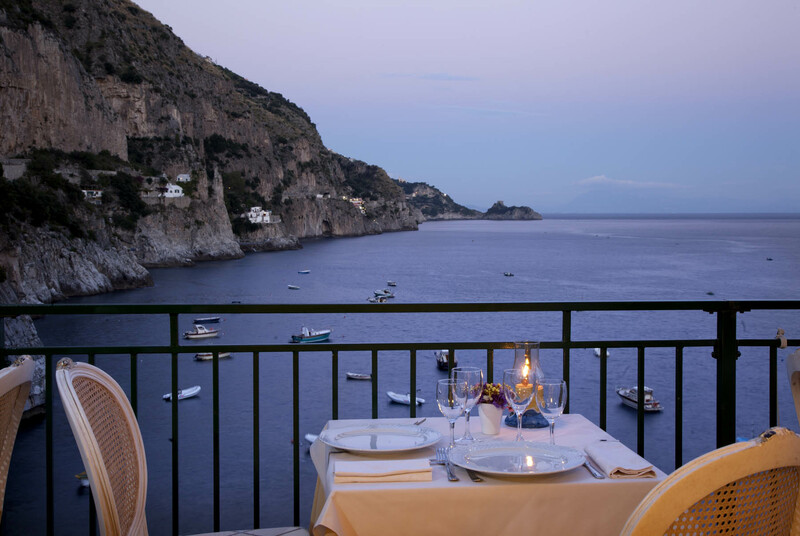 In the evening, as the sun sets, the terrace of the Franchino Restaurant transforms into one of the most romantic places in the world. 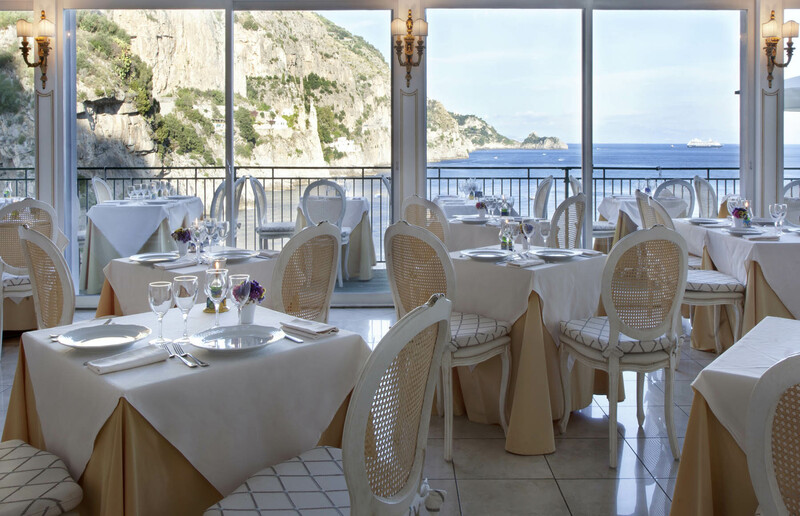 The cuisine served at the Franchino Restaurant offers visitors to the Amalfi Coast the perfect introduction to the local culinary tradition and the genuine flavours of the Mediterranean. 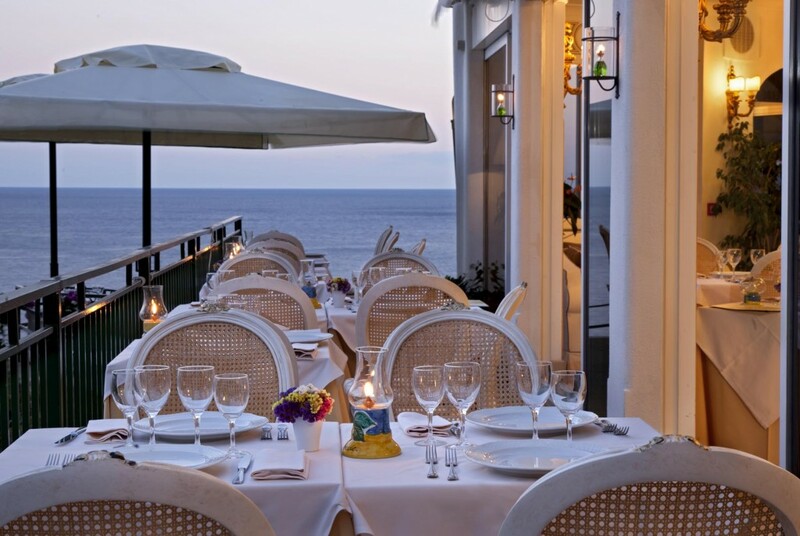 Imagine dining at sunset or under the moonlight and stars while listening to the Mediterranean's wave sing in concert with the quiet background music that flows from our restaurant. 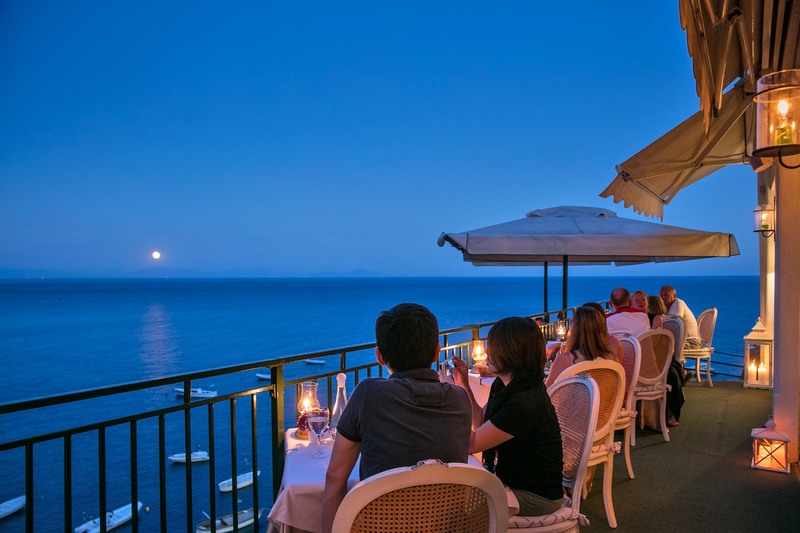 The elegant, comfortable, airy, and cheerful restaurant is located on a rocky precipice and provides a magnificent view over the sea and along the Amalfi Coast. 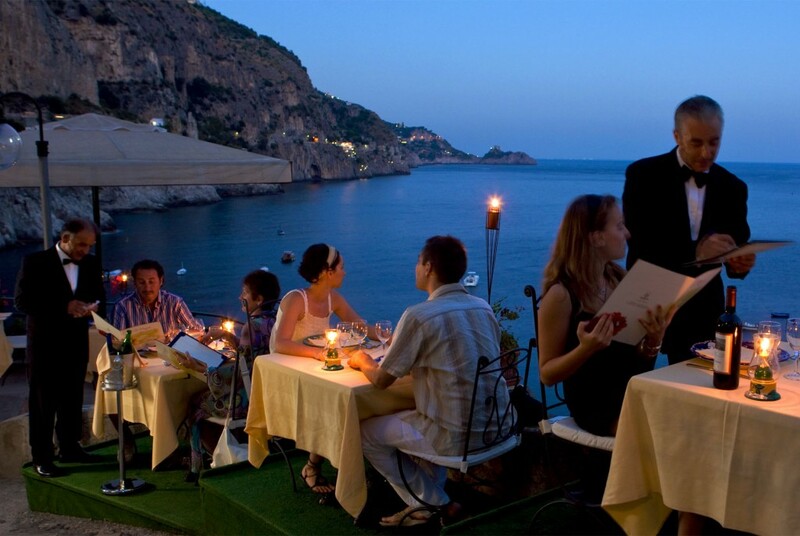 The restaurant is easily accessible from all rooms by modern elevator or by stairs. 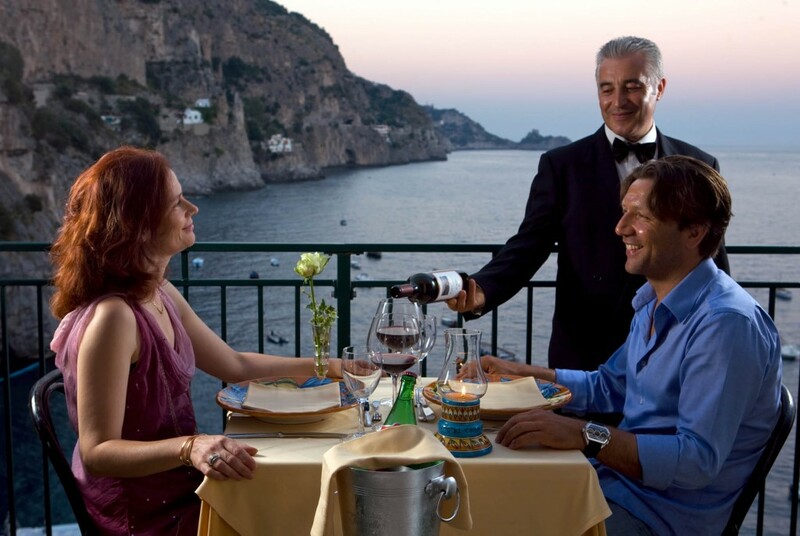 Owned and operated by the Milano family for nearly 40 years, our restaurant has remained consistently dedicated to bringing home-style Central and Southern Italian Cuisine to the greater Amalfi Coast area. 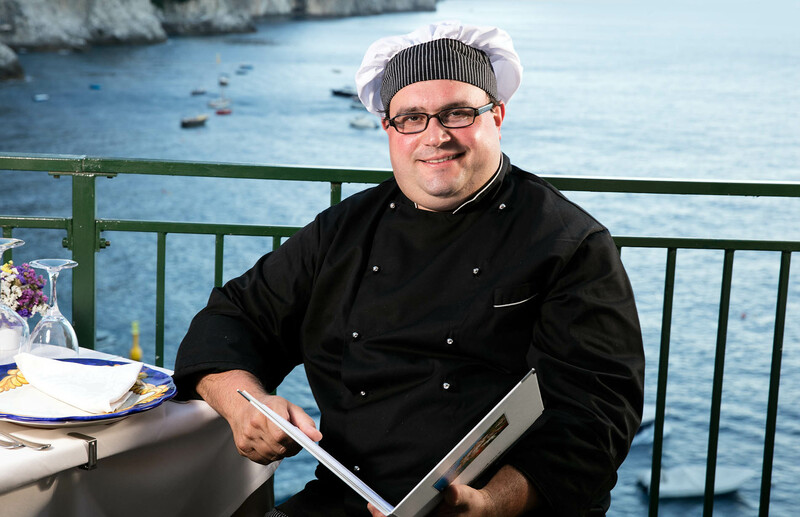 Our chefs put old-fashion Italian love and passion in their food preparation. 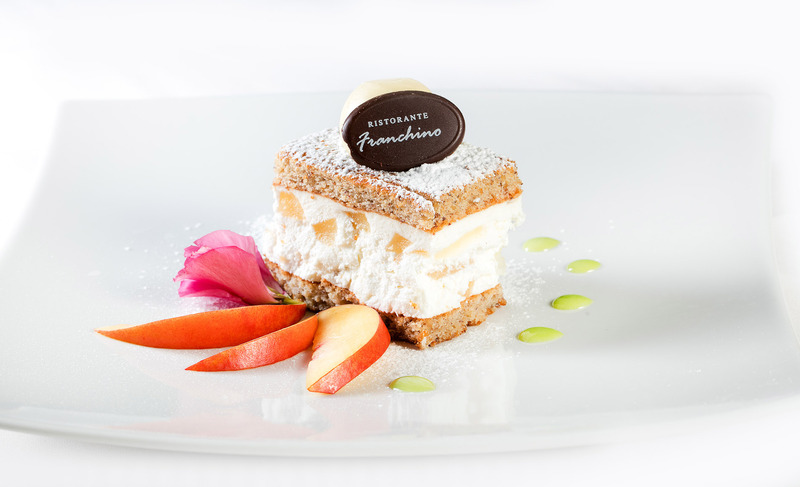 Franchino Restaurant specializes in home-made pastas and specialty fish dishes, along with a variety of other Italian culinary delights. 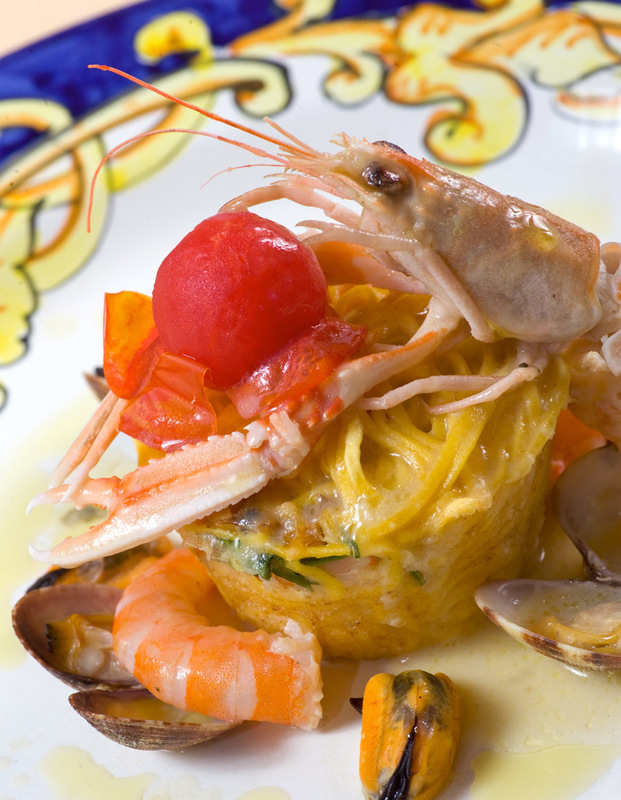 All of our pastas and sauces are prepared daily with the freshest and finest ingredients for your dining pleasure. Our fruits, lemons, tomatoes and spices are harvested from our family garden. We offer a fine selection of local wines and various beers to compliment your dinner. 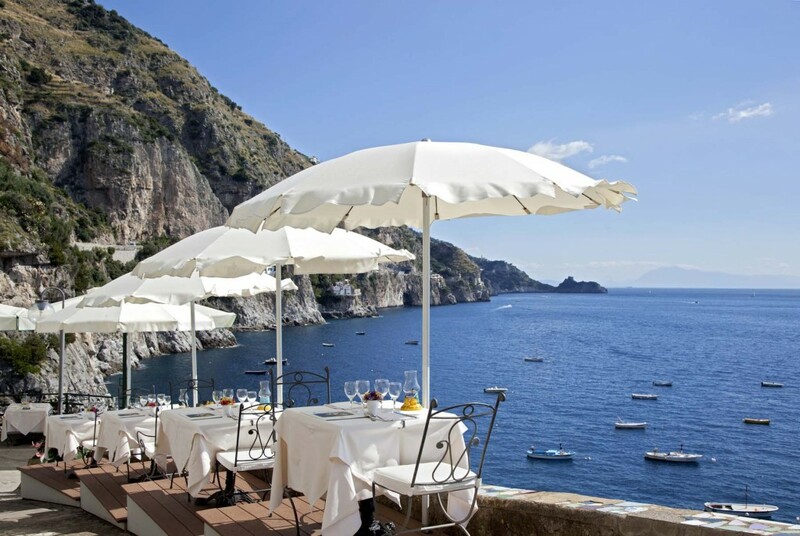 Please enjoy our home made lemoncello; a famous drink from the Amalfi Coast. We cannot forget to help you end your dinner with a nice cup of cappuccino to go along with an authentic Italian dessert. 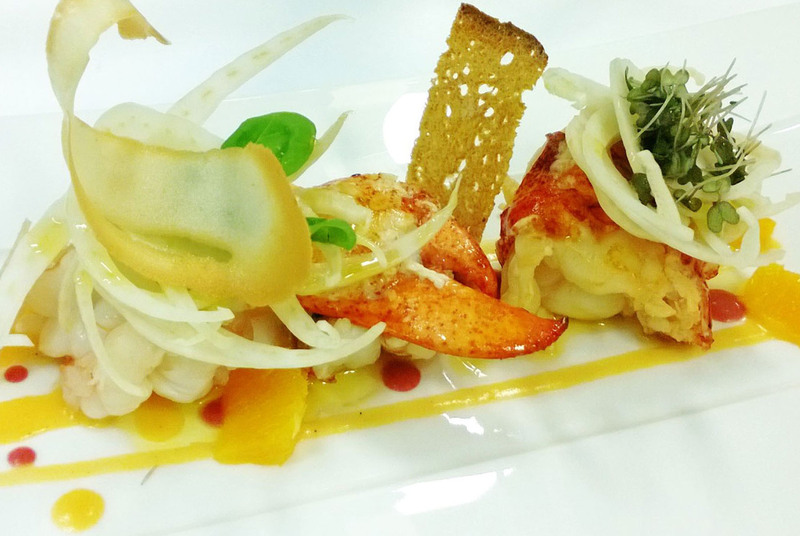 Your senses for sight, taste and smell will come alive when you are dining with us at the Franchino Restaurant.